In the decider, Kumar scored a decisive 10-1 win over Tomar to give the Hammers the overall tie. The 2018 World Under-23 Championships silver medallist Haryana Hammers’ Ravi Kumar defeated the experienced Sandeep Tomar of MP Yodha in the men’s 57 kg category 10-1 to give his team their second win in the Pro Wrestling League season four underway at the Municipal Corporation Indoor Stadium in Ludhiana on Saturday. The Hammers won 4-3. Junior world champion Anastasia Nichita of Haryana Hammers won an important bout against Pooja Dhanda in an action-packed encounter where the needle swung constantly from one side to the other. Pooja was trailing 0-3 after first round but the world champion didn’t let the Indian dictate terms and hung on to win the bout 8-7 and push the tie to the decider. Earlier, the 2018 World Championships bronze medallist Ali Shabanov of Haryana Hammers played an aggressive first round in his 86 kg bout against the 2017 Commonwealth Championships gold medallist Deepak of MP Yodha and pocketed eight points in a combination of take down and near fall. Shabanov didn’t give Deepak any chance of a comeback in the second round and put the Hammers 1-0 ahead. MP Yodha’s Colombian wrestler Andrea Olaya clinched the keenly fought women’s 76 kg bout against the 2018 Commonwealth Games bronze medallist Kiran. Kiran was leading 3-1 with just 30 seconds to go on the clock but the Colombian not only broke Kiran’s resistance but also bagged three more points with a near fall to win 6-3 and tie the match score at 1-1. The 65 kg men’s bout between MP Yodha’s European Championships gold medallist from Azerbaijan Haji Aliyev and national champion Rajneesh was closer than the final score line suggests. At 2-1 it almost looked like Rajneesh was on his way to cause an upset, but Aliyev’s experience helped him win the bout 5-2 with an escape and a take-down and put Yodha ahead in the tie. MP Yodha’s 2018 European Championships silver medallist Elise Monolova went up against 2018 European Championships bronze medallist Haryana Hammers’ Tatyana Omelchenko in the women’s 62 kg category. Tatyana clinched the bout 6-5 and help Haryana Hammers restore parity at 2-2. 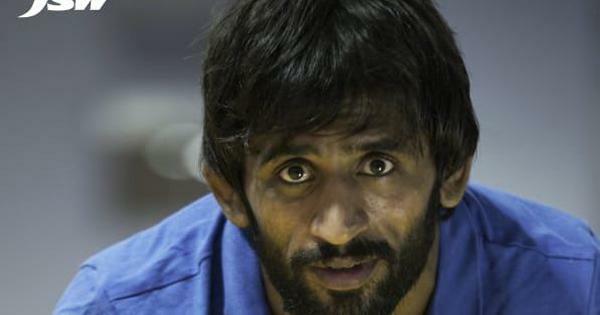 Vasil Mikhailov put MP Yodha ahead against Praveen Rana in the men’s 74 kg category. In a high-powered bout Mikhailov was trailing 5-6 with less than 10 seconds on the clock, but he turned it around with a near fall and won it 7-6.